The PopScan Plugin adds scan-to-buy functionality, great user experience and huge productivity gains to your existing online shop. 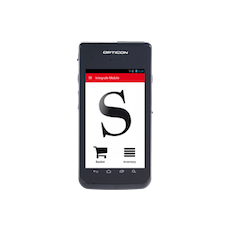 If you are looking for more than just a scanner solution take a look at Sensational eCommerce. Nothing shows your customers better what they can gain from switching to eCommerce than giving them a scanner solution. It takes the tediousness out of handling large numbers of different items and repeat orders. Our internally developed drivers for a wide range of scanners and mobile phones, as well as our API makes it possible to integrate with almost any ERP or eCommerce solution. The use of scanners not only reduces errors by avoiding mistakes with product codes, but it also lets the user compile his ordering needs directly on-site, like for example in the storage room. To make the deployment of large numbers of scanners a snap, our solution features a simple installation process on client computers, that neither requires technical knowledge nor administration rights. This ensures a positive user experience and lowers your support costs to a minimum. Supported scanners range from entry level models to high-end mobile phones. Different marketing and branding options for hardware and device software are also available, including the lock down of devices for use with your eCommerce solution only. Choose the ideal miniscanner to meet your needs. All devices are pocketsized, easy to handle and always ready for use. Handy, sturdy and driver-free installation – to only name a few features. 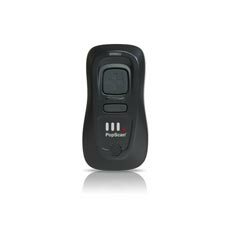 The OPN2001 is the deluxe version of our mini scanners and features an elegant design in black and silver. The integrated battery recharges automatically when you connect the scanner via USB to a computer. Our mobile scanners provide the ultimate convenience in terms of speed and handling. The scanners communicate directly with the Sensational eCommerce system through the mobile network of your choice. Product catalogs are stored directly on the device for fast access even in locations with spotty mobile coverage. In situations where connectivity, communication and ease-of-use are important, the Opticon H-27 Scanner is the ideal tool.